At the time of Len White's death, his son Bill was attached to the Hornsea club - again following in the footsteps of his father. It seemed the natural thing for him to apply for the vacancy caused by the death of his father at Coxmoor, but it was by no means a foregone conclusion as there were a number of excellent candidates and if Bill wanted to succeed his father, he would have to impress the committee by attending an interview. But. Bill is the first to say, that he had a number of influential allies within the club. They were so determined that Bill would keep the family name of White flying over Coxmoor that they organised a petition campaigning for his selection and presented it to the coimmittee. Whether it was needed or not is not recorded, but whatever. Bill got the job. The only thing I ever wanted to be was a golf professional so I was delighted when they awarded me the job,' he said. In his first few years at Coxmoor, Bill would combine his club duties with the demands of tournament play. 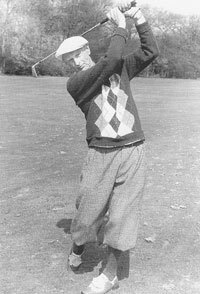 By 1949, he had competed for the Open Championship on six occasions, up against the likes of Henry Cotton, Fred Daly and Max Faulkner. Bill's best finish in the Open was 31st. On the local scene, he was highly successful, winning the Notts Open Championship on three occasions - Wollaton Park in 1956, Beeston Fields in 1961 and Sherwood Forest in 1972. That final triumph at Sherwood Forest produced a remarkable finish and a fine collection of memories for the White family. 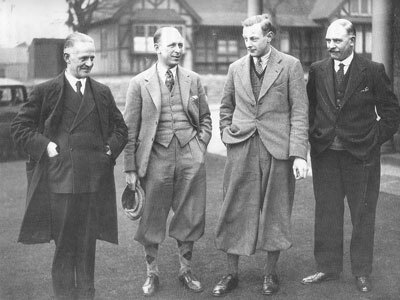 After the first two rounds, the name of White was high on the leader board with Bill, and his son Peter, an England international, one stroke off the pace, having shot 75 round the tough Mansfield course. Bill had taken only 28 putts and he had to match that performance in the second round to take the title. With three holes to go, he was trailing Beeston Fields' Peter Shaw by one stroke, but he rolled in an eight footer on the 16th and got a par on the 17th to level. On the final hole both he and Shaw were bunkered near the green. But Bill got up and down, thanks to a six foot putt, to take the title. 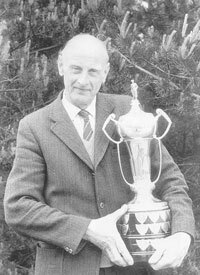 Bill also won the Midlands Senior Championship in 1975 and, in 1980, two years before he retired he was the Notts Amateur and Professional Alliance champion. He is a life member of the Notts PGA and of Coxmoor Golf Club, and in 1979, he was elected president of the Notts Alliance, thus becoming the first professional to hold that particular honour. Within the confines of Coxmoor, Bill was renowned as an excellent coach who helped to develop the outstanding careers of many golfers including Walker Cup player Alec Shepperson and boys internationals Alan Crafts and his own son Peter. He also had a fierce reputation for handling newcomers to the club. `I used to frighten them to death,' says Bill, with a mischievous twinkle in his eye. 'They had to satisfy me that they knew enough about rules and etiquette to play on the golf course,' he explained. He also used to have a challenge for ladies who came to him for instruction. He would take them up to the first tee -now the 13th -and invite them to knock a drive past the tree on the left. Anyone who could do it would receive a free golf ball. As Bill remembers, only one lady ever achieved the feat, a certain Mrs Wigley, and she was a Hollinwell member. On December 31, 1982, at the age of 72. Bill finally retired. Thus ended the White years. They had begun in 1923 when a young man and his family arrived at a course without a home. and ended 62 years later with Bill saying farewell, as a professional, to one of the finest clubs in the country.